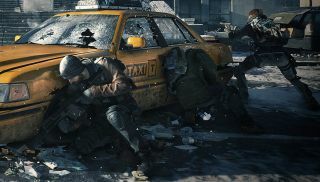 Ubisoft has shone a little more light on its plans for the post-launch content for its soon-to-be-released third-person MMO shooter hybrid The Division. The first step will be a free expansion in April that will bring “incursions” to the action and also enable loot trading, so players can swap around the stuff they pick up on co-op missions. Incursions are a “new challenging end-game activity developed specifically for squad play” that sets teams against waves of enemies in a quest for high-level weapons and equipment. These have been interpreted as raid-like activities, but also sound similar to a horde mode in design. A second incursion, in Columbus Circle, will be added in another free update set for release in May, which will also incorporate new features in the PvP Dark Zone. Following the release of the freebies will be three paid expansions set to come out over the balance of 2016. The first, in June, will open up the underworld of New York City to exploration; the second, later in the summer, will add a new survival mode; and the third, expected in the winter, invokes a vague new threat from a “relentless foe.” These expansions, along with other content, will also make up the season pass, which we got a glimpse at in January. The Division season pass isn't yet listed separately on Steam or Uplay, but the Gold Edition on Steam, which includes the pass, is $40 more than the standard release, which matches up with Gamestop's pricing on the console editions. With or without the extra goodies built in, The Division will be out on March 8. What's interesting in all this is that players and pundits are already setting up The Division as the main competition for Destiny. That game's biggest problem has been Bungie's inability to deliver content updates in a timely fashion, so it'll be interesting to see if The Division can maintain a better pace. Certainly the ability to trade loot offers a clear point of differentiation. As, of course, does the fact it's on PC.